Maybe you have suddenly lost your Scion car keys and wish for the keys to be replaced by a new set? Getting a car key replaced in Phoenix is really a fairly easy task. Obtain the most inexpensive costs on Scion car key replacement in Phoenix by contacting AZ Car Keys today! A loss of a car key is a devastating situation for any driver. According to a recent survey an average person loses their keys 10 times per year. It is therefore very important to ensure that you own a spare key for your Scion car. The cost of replacing your scion car keys in a dealership is very high and if you have been there before you know how expensive the offered services are. Losing your keys may bring you a lot of stress because it means all your projects and plans will come to a standstill. It’s even more stressful if you have an emergency. Don’t be like those people who postpone purchasing an extra key because of the cost related to the services. This cost becomes huge when you lose all your keys to your Scion car and you need to get it towed to a dealership. 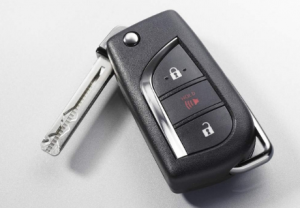 It is therefore important to save the cost by owning an additional car key from a locksmith. 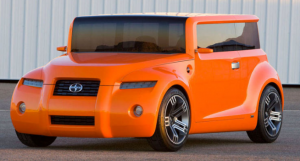 The different Scion car keys and its models come in variety of sizes, shapes design and features. This keys include a keyless entry and those that have remote to unlock alarm and doors. Most of the modern Scion car keys are three in one. In this article, we are going to discuss different types of your Scion car keys or one of its model. This kind of keys have a chip which functions to disarm the car immobilizer when the key is used to start the car engine. When the key is inserted to the ignition and turned, the ignition control unit on the car sends an electronic signal to the key. The key will allow the car to start after receiving the correct signal back. Therefore, the key must be programmed correctly to disarm the immobilizer it also must be cut correctly to unlock the door. Scion transponder keys has two protection against misuse. This is a combination of a transponder key and remote control without a metal blade. This kind of Scion key acts like a remote control key. Locking and unlocking Scion car using this key is as easy as pushing a button. The model of Scion cars using this keys do not have a place where you can insert the metal blade instead it has a place where you can insert the remote control to start the car. Have proximity transmitters allocated into the car remote control system. The computer system in the car sends a transmission in the key that allows the driver to unlock or lock the door by simply touching them. These keys ignites the car by inserting the metal end into the ignition and turning it. When it is removed from the ignition, the car system locks the steering and thus prevent other people from igniting the car using the metal key. Contains resistor inside the plastic pallet. It was used during the early years and it is still used nowadays as Scion car keys. It is not more advanced like the other keys since it does not have a remote controller system. Therefore it works only when it is in contact with the car’s ignition. It has 15 resistors that works as sensors. Many cars in the early days were supplied with a master key. The dealer uses the key to program a new key for the car. If you lose the key then it will cost you a lot of money to replace one. Although car manufacturers have stopped using this kind of key you should check the car handbook to ensure you get all the keys including a master key. Most of this kind of keys do not have a computer program or remote sensors. Call AZ Car Keys For Your Replacement Scion Key Today! Well, to be on a safer side you should purchase a spare key to avoid frustrations when you lose your car keys. You should take the security of your car very seriously. Replacing a car key is very expensive and you should also take care of your original key. The cost of replacing your Scion car keys in a dealership is very expensive. If you want to save your money I will advise you to replace from a locksmith. Whether you have proximity key, metal key, VATS key or fob keys. You should make a spare so that in any case your key gets lost you will use the spare key. When you lose your key and are in a jam, these guys should be your first call. Reasonably priced and prompt service. These guys had my replacement car key in my hand within 2 hours of calling. Highly recommend.